Niantic’s latest geolocation-based game, Pokemon Go, has had a bit of a rough launch over the past week or so. That hasn’t stopped thousands from diving into their own stories as Pokemon Trainers, and the game has already risen above Niantic’s expectations, without even rolling out globally. But what about those of you having issues with the game? How do you fix that nagging ‘GPS Signal Not Found’ error? Luckily we’ve got an entire guide dedicated just to that. So without further ado, let’s dive in. If you’re having issues with your GPS signal not being found, open up your Google Maps application, and restart Pokemon Go. If you continue to have issues, then restart your device, and make sure your location settings are set to High Accuracy. This should resolve any GPS signal issues, however, there have been reports that the accuracy of your game location is also based on the strength of your phone’s GPS system. Having issues with the music and sound effects becoming distorted? Niantic is aware of the issue, and is hard at work to resolve it. For now, simply restart your game by closing out of the application completely and relaunching it. Reports indicate that the distorted audio is only heard when using Bluetooth connected headphones. This is an error that many users have been experiencing during installation of the game’s APK file. If you are receiving this error, then chances are you’re trying to bypass the game’s region requirements. This can be risky, as users can hide malicious content in APK files, and we’d highly recommend not sideloading any APKs of the Pokemon Go application onto your device. Not to mention, there have been reports of Niantic banning users who are accessing the game before its release in their region. We have no confirmation just yet, however, it’s better to be safe than sorry. If you experience this issue, then chances are you’ve accidentally signed into a different account than you originally started with. Simply log out of your current account, and sign into the original one to retrieve all your progress. If you happen across this error when trying to purchase Poke Coins from the Pokemon Go shop, don’t fret too much. You haven’t lost your hard-earned cash. This just means that your device has experienced a connection error during the purchase, so you’ll need to exit the application, power your device off, and then restart it. Once you relaunch the application, you should be good to go. 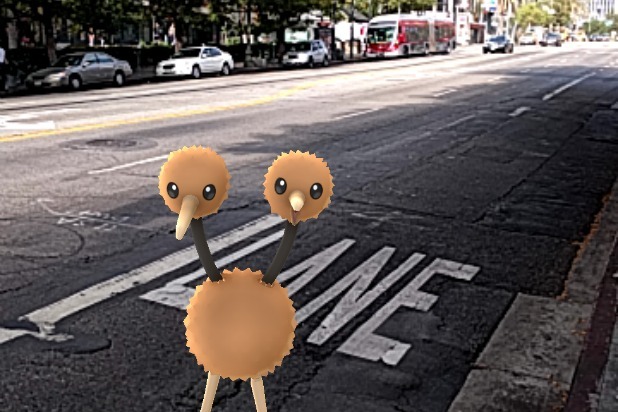 If you’re experiencing issues with Pokemon appearing on the map around you, there are a couple of things you need to do first. Verify that you are not located in a region where the game has not yet released. At this time the global rollout has been put on hold, as Niantic is hard at work trying to stabilize the servers for a much smoother launch in other parts of the world. If you are located in a region that hasn’t seen an official release, then there isn’t much you can do to fix this issue. Based on several reports, we believe that some areas that haven’t seen a release just yet are unable to access the game’s servers, therefore making it impossible for them to actually see any Pokemon around their location. If you are experiencing this issue in a region that has seen an official release, please report the bug to Niantic, as there is currently no known resolutions. Find out more about Pokemon Go using our complete and in-depth guide about catching, training, healing, and battling Pokemon.